Item description: * See scan - very good condition. 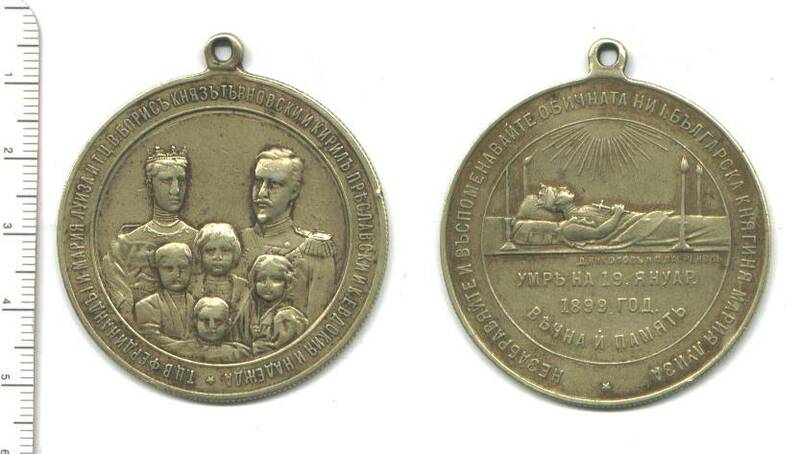 The rarest issue of this bronze Bulgarian Royal medal - 50mm / about 2 inches in diameter - extremely large and scarce. This medal was struck to commemorate the death of the Bulgarian Queen Marie Louise in 1899. front of the medal pictures the Royal family including King Ferdinand and wife, prince Boris, Kiril and the 2 princesses Eudoxia and Nedejda. back of the medal shows the body of the dead queen laying. Extremely rare piece - a true collector item.